With two large window panels in each door, these composite French doors are perfect for creating a light, bright living environment. Featuring toughened safety glass, a multipoint locking system, and a fully reinforced outer frame, these composite French doors are ideal for use at the front or the back of your home. 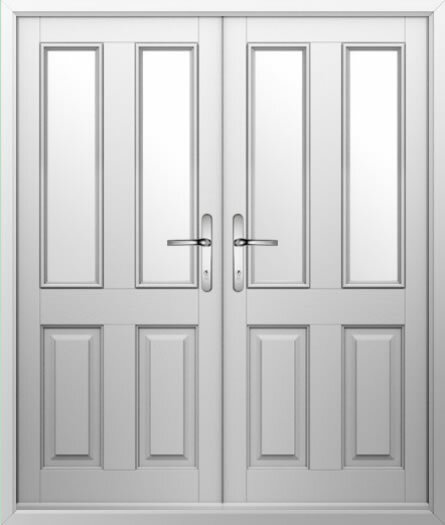 Although these double composite doors have a distinctly traditional feel, they can be customised with a huge range of colours and handle choices available.